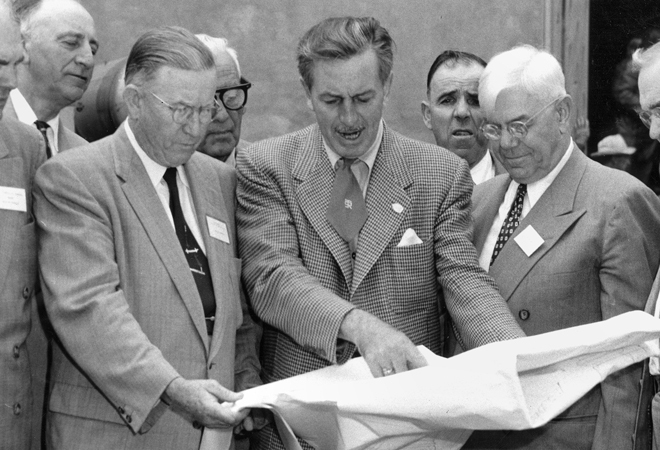 Disney recently released some footage from a new documentary about the history of their Imagineering division and it looks terrific. It’s thrilling to see so many of Walt’s favorite collaborators that are still thriving and working and creating in Los Angeles. I can’t wait to see what car designer Bob Gurr, costumer Alice Davis, and composer Richard Sherman have to say about their part in creating the great classic Disneyland attractions. My only beef is waiting for that 2016 release date. Check out this trailer.